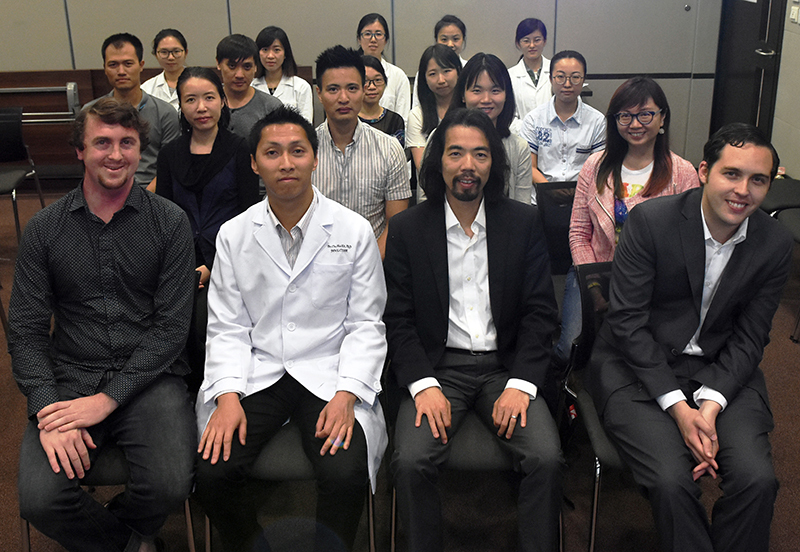 In May 2017, the Leung lab visited several collaborating groups in Asia and shared with them our research vision on using zebrafish to find new drugs for retinal degeneration. In this blog post, we will share some pictures of our visit to the Department of Ophthalmology and Visual Sciences (DOVS) at the Chinese University of Hong Kong in the next paragraph. We will also share some pictures of our attendance of the International Conference of Vision & Eye Research at the end of this post. 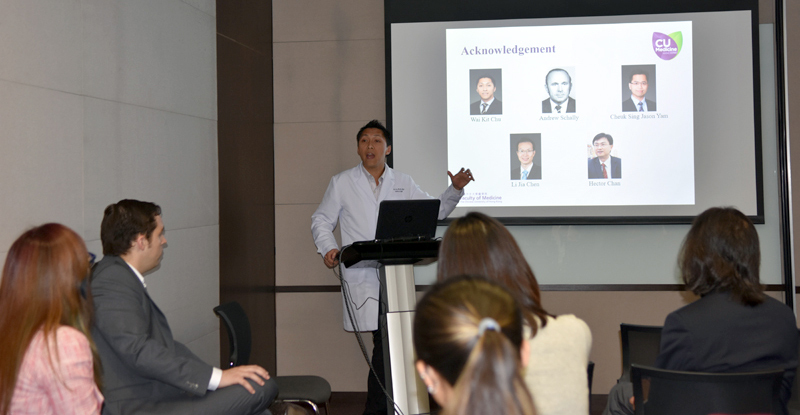 In DOVS, Dr. Wai Kit Chu from this department and Fai organized a “CUHK Ophthalmic Research Centre Joint Symposium” and invited local experts in ophthalmology and neuroscience to share our latest research findings with each other. Fai outlined our lab’s research program on discover new drugs for retinal degeneration by zebrafish research. 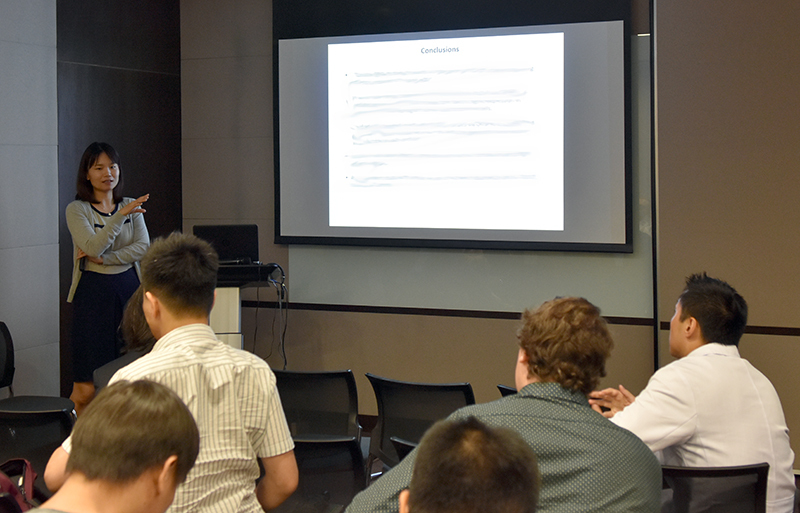 Logan presented a talk entitled “Visual Motor Response of a Transgenic Retinitis Pigmentosa Zebrafish Model”. 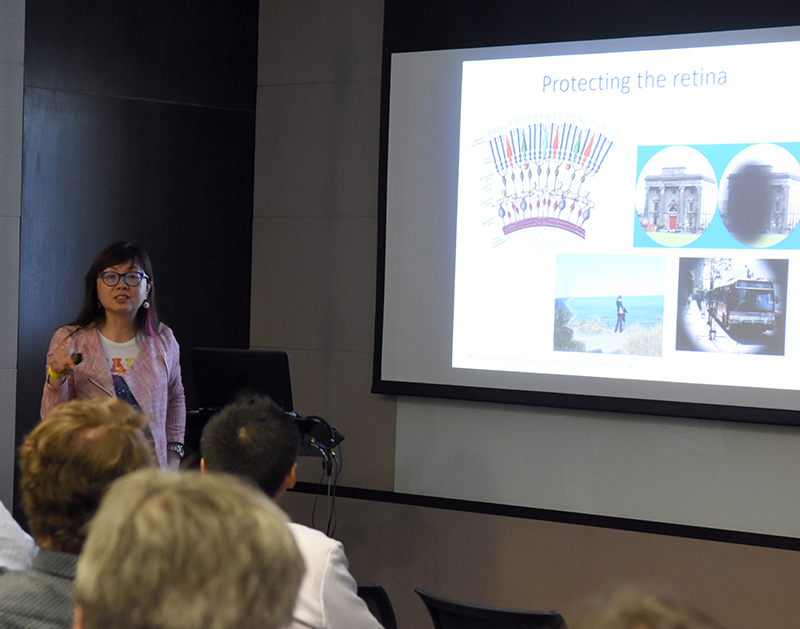 The CUHK Ophthalmic Research Centre Joint Symposium. From left to right, 1st row: Mr Jeremiah Palmerston, Dr Wai Kit Chu, Dr Yuk Fai Leung and Mr Logan Ganzen. From left to right, 2nd row: Dr Rosa Chan, Dr Geoffrey Lau, Dr Wenjun Xiong and Dr Amy Lo. Fai outlined our lab’s research program on discover new drugs for retinal degeneration by zebrafish research. 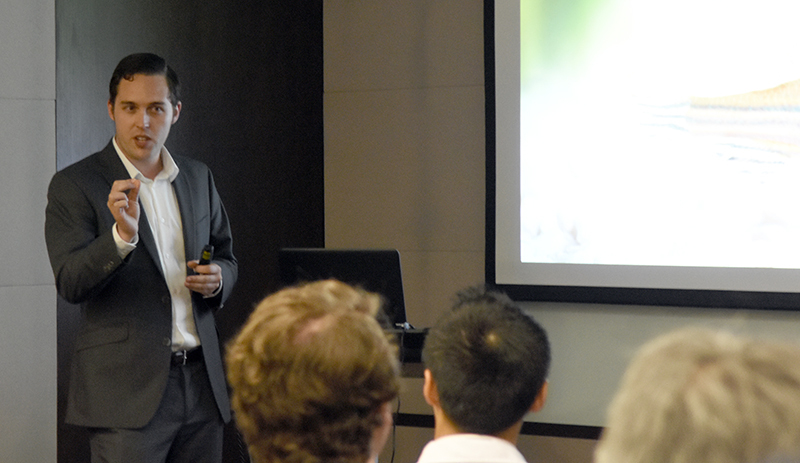 Logan presented a talk entitled “Visual Motor Response of a Transgenic Retinitis Pigmentosa Zebrafish Model”. Dr. Amy Lo from the Department of Ophthalmology at the University of Hong Kong. 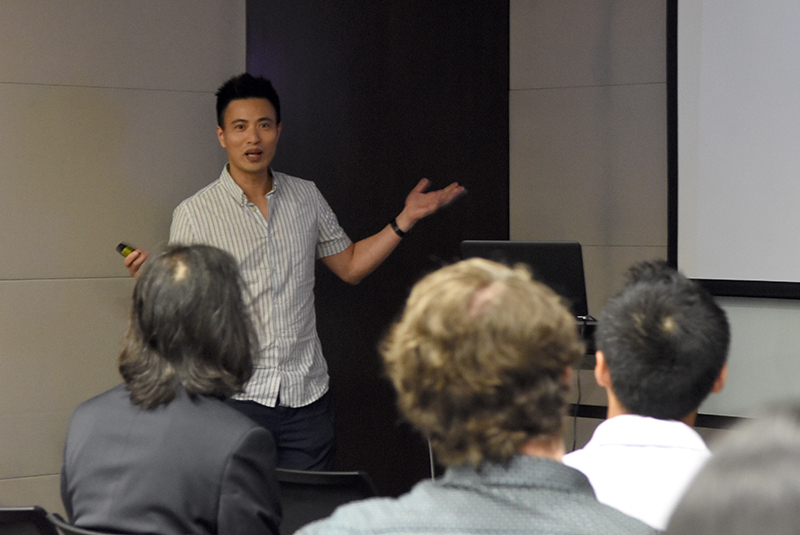 Dr. Geoffrey Lau from the Department of Biomedical Sciences at the City University of Hong Kong. 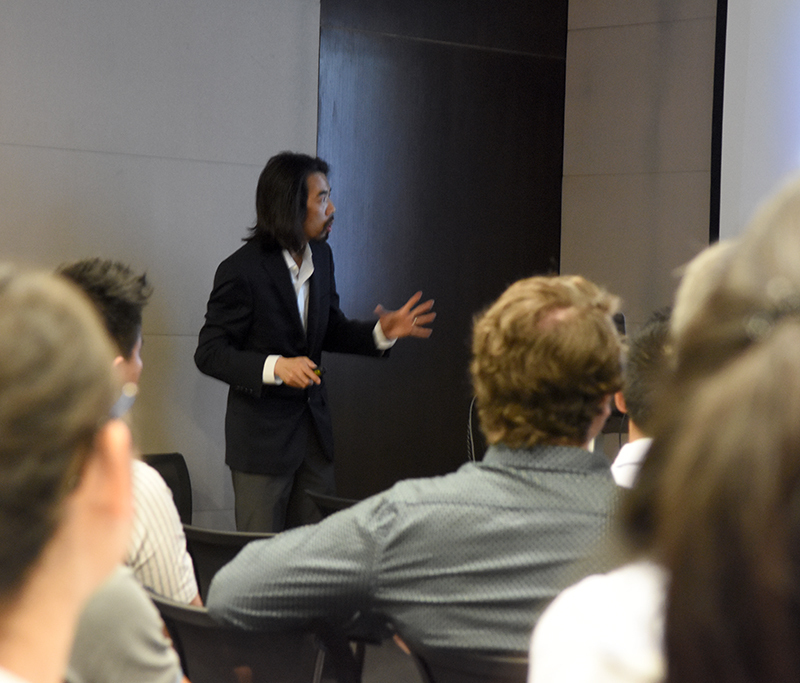 Dr. Wai Kit Chu from the Department of Ophthalmology and Visual Sciences at the Chinese University of Hong Kong. Dr. Rosa Chan from the Department of Electronic Engineering at the City University of Hong Kong. Jeremiah Palmerston from Dr. Rosa Chan’s group. 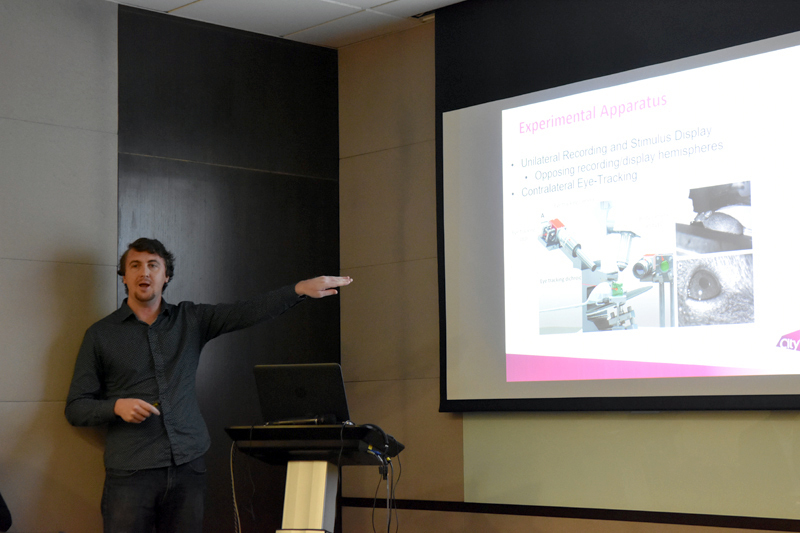 Fai and Logan also attended the International Conference of Vision & Eye Research (iCOVER) when they were in Hong Kong. 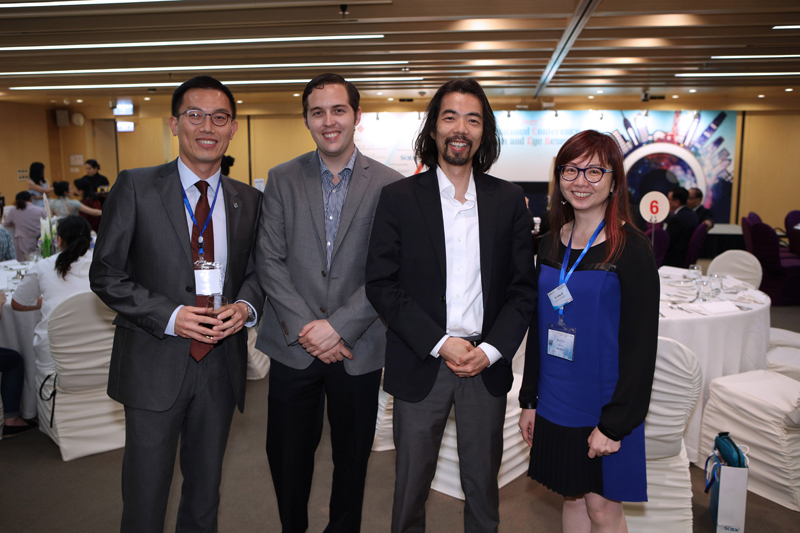 Fai and Logan with Dr. Chi Wai Do from the School of Optometry at the Hong Kong Polytechnic University and Dr. Amy Lo from the Department of Ophthalmology at the University of Hong Kong during the dinner ceremony of iCOVER. 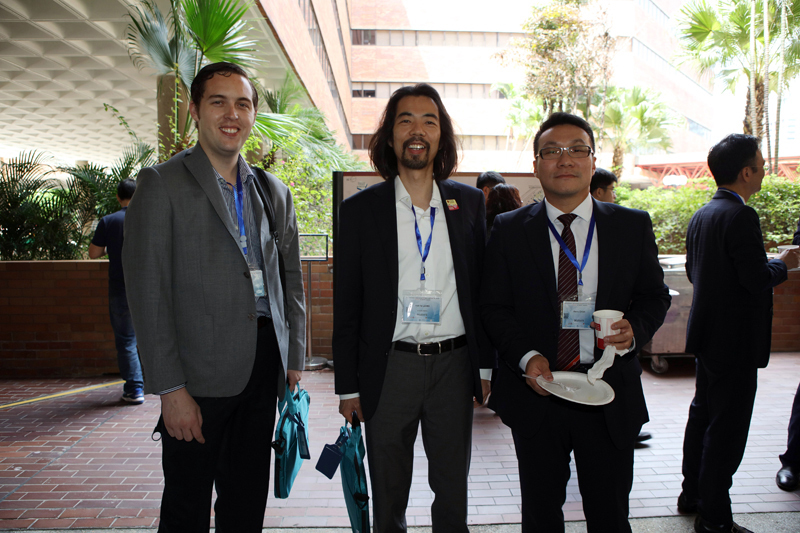 Logan and Fai with Dr. Henry Chan from the School of Optometry at the Hong Kong Polytechnic University during the coffee break of iCOVER. Posted by Yuk Fai Leung on July 4, 2017 at 9:06 PM under Fai's sharing, lab activities. 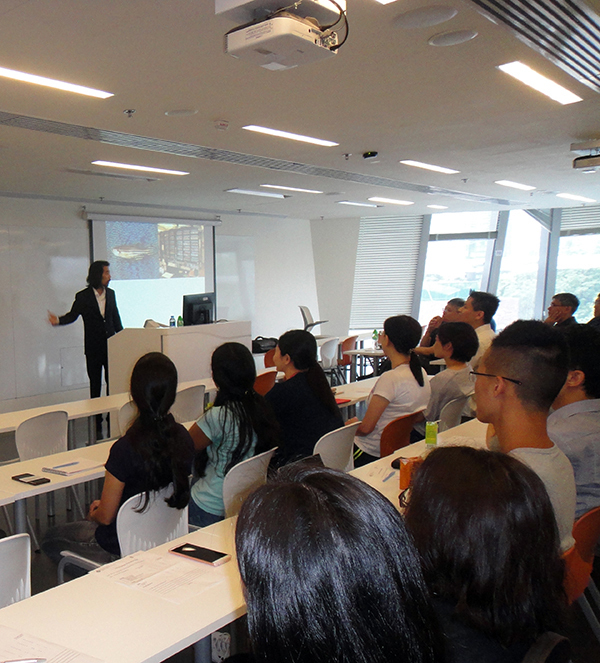 My visit to the School of Optometry of the Hong Kong Polytechnic University. On July 20th 2016, I was invited by Dr. Chi-ho To, Professor and Head, and Dr. Chi-wai Do to visit the School of Optometry of the Hong Kong Polytechnic University. This is the leading Optometry school in Hong Kong and Asia. They have also been conducting many research programs that lead to translational products that help eye-disease patients. Their cohesive and collegial team great enhances efficiency and contributes to their success in research. 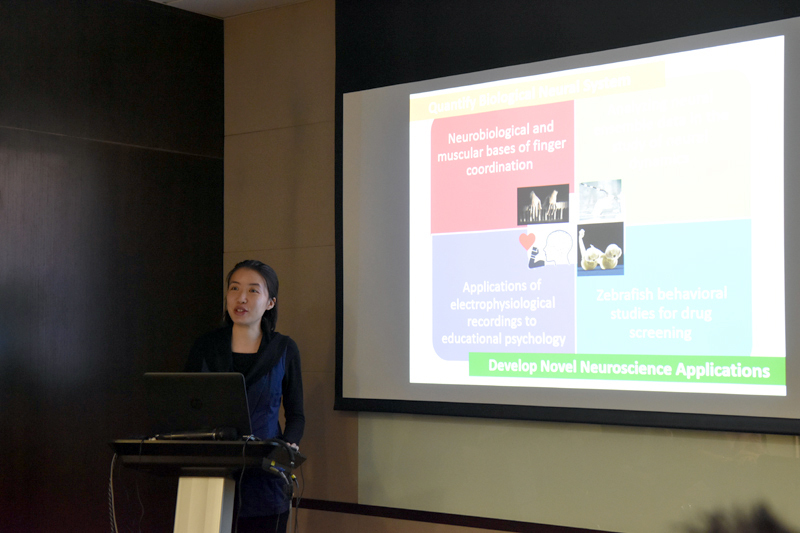 During my visit, I gave a seminar on “Discover New Drugs for Retinal Degeneration by Zebrafish Research” and shared our vision on using this research platform to help patients with this great research team. 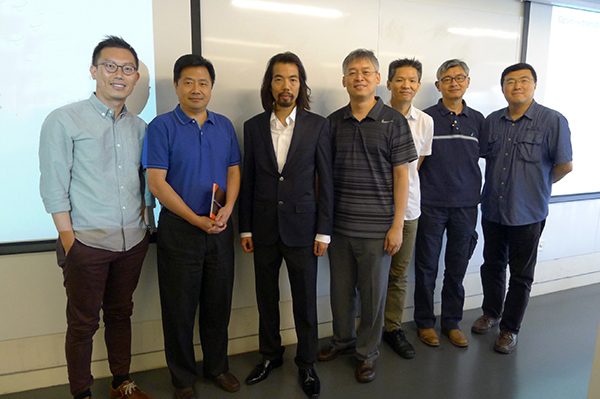 Yuk Fai Leung with the Professors from the School of Optometry at the Hong Kong Polytechnic University. 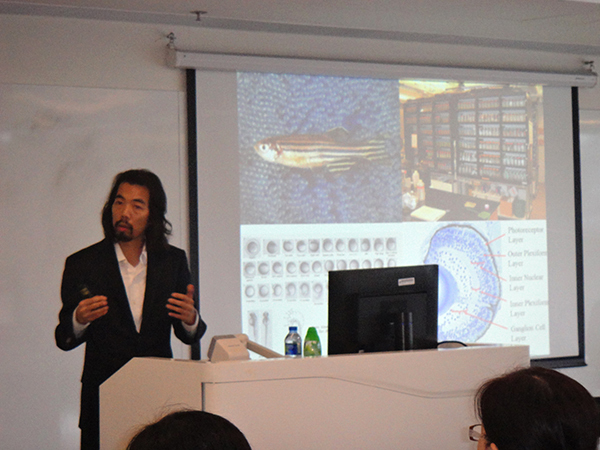 Yuk Fai Leung shared his vision on zebrafish research. Posted by Yuk Fai Leung on August 6, 2016 at 3:53 PM under Fai's sharing.